Unicorn. The title all private companies are striving to achieve. Having a valuation of $1B+ places you in a group of the world’s elite companies. According to CB Insights, as of May 26, 2017, there were 197 private companies that were classified as unicorns. So how many new unicorns has 2017 produced so far? Twenty-five. 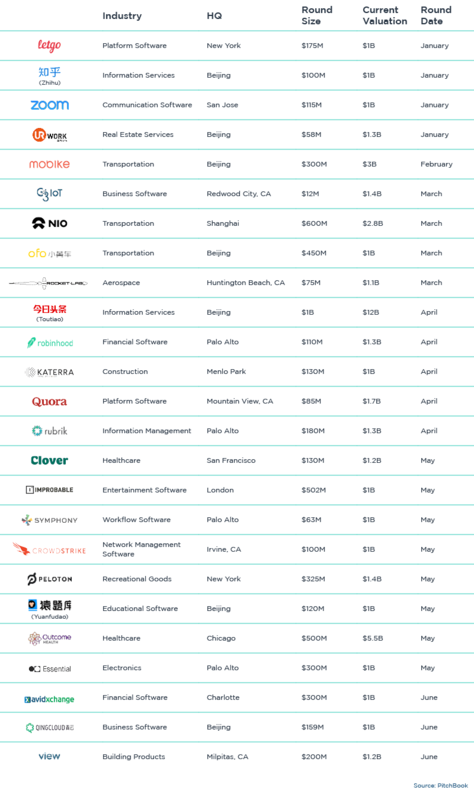 Twenty-five Venture Capital-backed companies have become unicorns in 2017 as per a Pitchbook report. See the full list below. We are excited to see how many more companies will achieve unicorn status in 2017 and which private companies InvestX could be offering to investors in the near future. We hope you enjoyed this short informational piece. If you did, share it with your co-workers, friends, or anyone else you think would be interested!